Ever wonder what life looks like for our First Legal employees? We’re excited to bring you our first series of employee spotlights! The spotlights will showcase not only the different departments but also the individuals that make up the First Legal family. 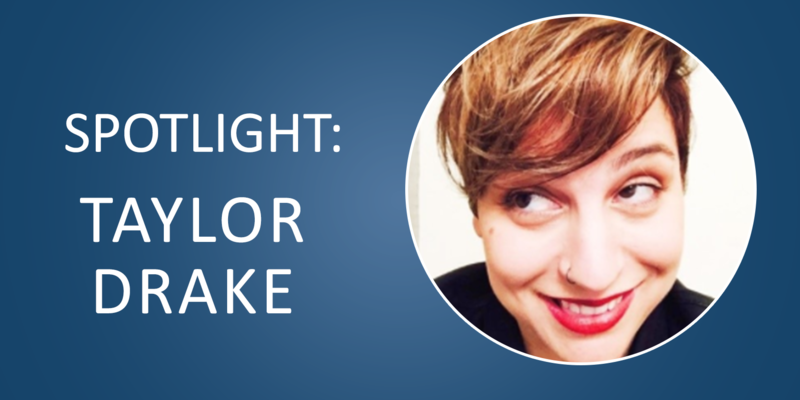 Read on to find out more about Taylor Drake, First Legal’s Director of Marketing! Thanks so much for sitting down to talk with us! You’re currently the Director of Marketing at First Legal. Can you tell us a little bit about the position and what your day to day routine looks like? Well, for me every day is different. One day I might be working on balancing budgets, the next day could be marketing materials, and the day after that could be email blasts. Right now we’re in the process of creating a lot of new materials. Whenever we’re planning an event, we’re also designing all the ads. So for example, we might be working to plan our annual client appreciation events and holiday parties. I’ve been at First Legal for five and a half years, and I kind of came up through the ranks. Originally, I had just moved to the US from London, and I started out as the assistant to our CEO, Alex Martinez. At the time, I was looking for a change in career, and I was moving out of the corporate events industry. I was introduced to Alex, and when I started as his assistant, I also split my time with marketing. Eventually, as positions opened up, I transitioned into marketing full time. It was a very organic move for me. I like that it’s different every day and I get to see the fruits of my labor, which I think is something you don’t always get in other positions. I love that there’s a real final product for what I’m doing. I always love working on our client appreciation parties. It’s a great chance for us to show our clients that we value them, and it allows us to get to know each other a little better. With something like that, I’d be in charge of things ranging from finding a venue, inviting the clients, marketing the event, and just generally organizing everything else so that things run smoothly. Before working at First Legal, what was the most unusual or interesting job you had? I have to say it was when I was working for a music magazine in London. I was mostly on the administrative side, but that was the position I held while I was going to school to get my MBA in international management. It’s really important to be ready to hit the ground running. First Legal is a great place to be, whether you’re starting out in your career or you’re more established. There are tons of opportunities for learning, so I would hope that people would take advantage of First Legal University, as well as our on-the-job training. Honestly, not really. I’m pretty much an open book. I spend a lot of my time interfacing with different departments, so I think most people have a pretty good sense of my job and what I do. Thanks so much for talking with us Taylor! 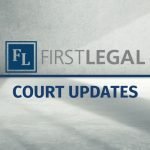 It’s been a pleasure learning more about your work with First Legal!